"Hunt Slonem: Antebellum Pop!" is the first major museum exhibition to display Slonem’s Pop art - inspired canvases alongside his signature "Antebellum Pop" plantation style. 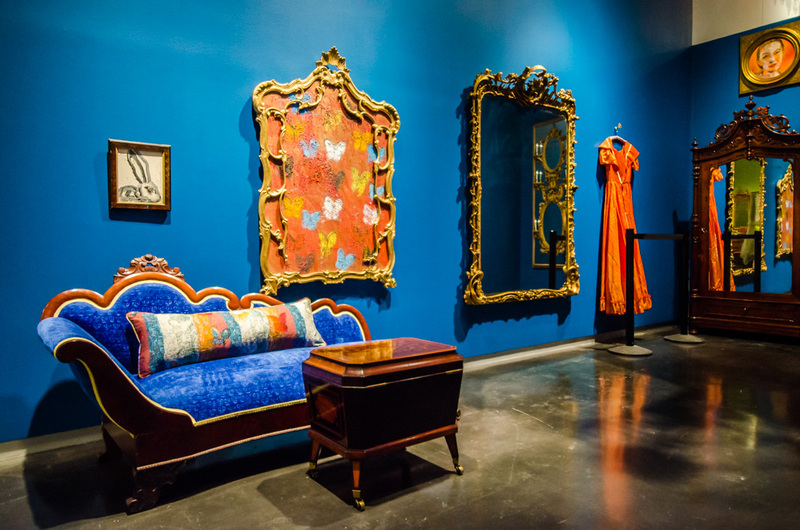 The exhibition will feature a selection of the artist's work from the 1980s to the present, placed among magnificent antiques, elaborate wallpapers, sumptuous paint colors, and exotic textiles, all adorned with mystical images from Slonem's intense imagination. 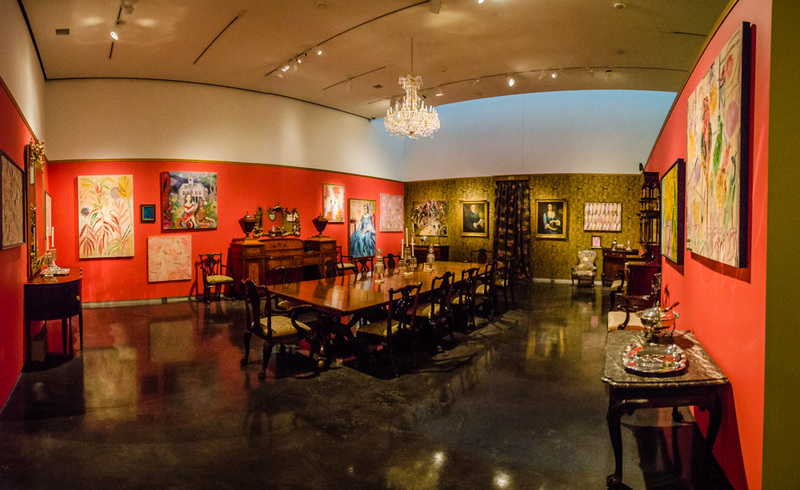 The artist's surreal patterned expressionism is magnified by its juxtaposition with the traditional furniture design of the nineteenth-century antebellum South, including signature international styles such as Gothic, Rococo, and French Revival. Slonem's homes are the inspiration for these vibrant and decadent interiors. 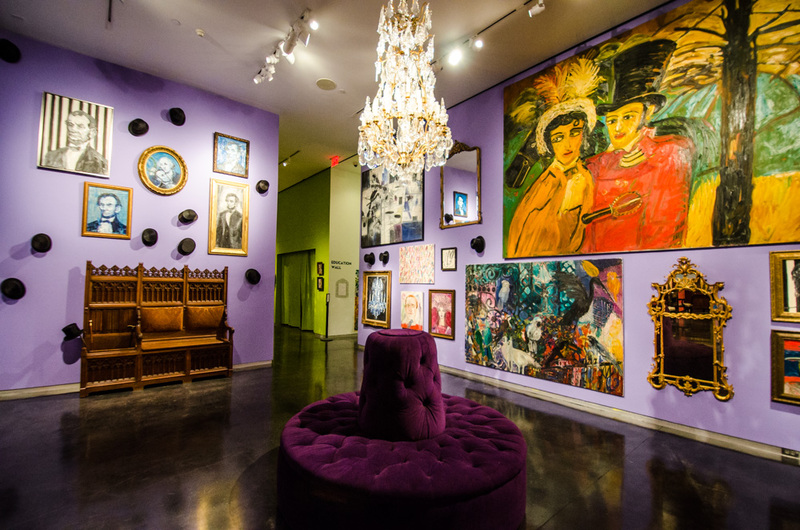 In addition to Slonem’s art, the exhibition will include personal touches such as his top hat collection and other treasured memorabilia. This exhibition is organized by the LSU Museum of Art and curatored by Dr. Sarah Clunis, assistant professor of art history, Xavier University of Louisiana. Take a 360° tour of the Hunt Slonem: Antebellum Pop! exhibition below. Major support for the exhibition is provided by BancorpSouth Insurance Services and PURE Insurance. Generous support is provided by Beth and Butler Fuller, Fran and Leroy Harvey, Elizabeth B. Miller, Cary Saurage Fund in Honor of Alma Lee and H. N. Saurage Jr., Lynne and Craig Smith, John Turner and Jerry Fischer, Ellen Kennon Design, PPG Paints, Aimee English, ARE' CustomWorks, Annette D. Barton, Groundwords @ Lee Jofa, Mr. and Mrs. J. Terrell Brown, Helen and Mac Bullock, Leslie and Larry Chauvin, Margaret Champagne Hart, Mr. and Mrs. Stokes McConnell, and Mr. and Mrs. Craig Saporito. Additional in-kind support is provided by M.S. Rau Antiques, which generously loaned many antiques for the exhibition. Ellen Kennon will discuss the effect color has on emotions, and will give a behind-the-scenes glimpse at her role in the current exhibition, "Hunt Slonem: Antebellum Pop!," and working with the LSU MOA team, curator Sarah Clunis and Slonem. WHYR 96.9's Bruce Morgan discusses Hunt Slonem: Antebellum Pop! with guest curator Sarah Clunis and Rod Parker. The Advocate: Hunt Slonem’s art work comes alive, feels like home in Antebellum: Pop!